5/24/18 Update: To streamline the on-campus lodging reservation process, we will include a link to make reservations through Google Forms in the next few days. For now, conference attendees who want to make a reservation for on-campus lodging should contact Trina Horsey, WOU Coordinator of Conference and Event Services, 503-838-8658 or by email: conferences@wou.edu. Trina is currently taking reservations only and will provide instructions for payment in June. Thank you for your patience and understanding! WOU offers a unique, overnight venue situated in the beautiful Central Willamette Valley. The residence halls have a nostalgic feel and are offered at an affordable option for groups which are exploring the area. Whether you are on an institutional or educational mission, we hope you will consider making WOU your home. The residence halls offer rooms that are convenient, clean, and comfortable. Guests have access to the Peter Courtney Health and Wellness Center for a $6/day guest pass. Guests have access to the Cannon Gallery of Art and Hamersly Library. Registration for lodging on campus ends June 8th. There is limited housing available and reservations will be made on a first-come, first served basis. 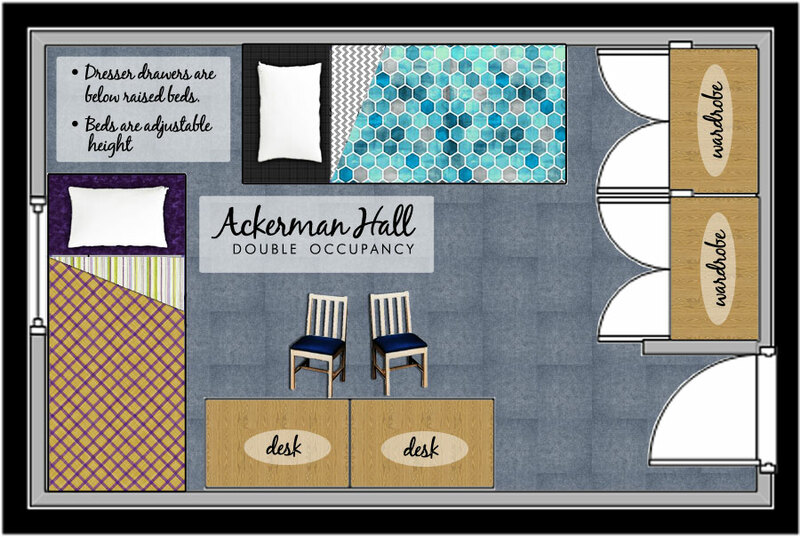 Overnight Lodging on Campus: Rooms include a linen pack which includes a pillow, blankets, sheets, towel and washcloth. ​Parking and Wi-Fi access is included. Personal toiletries such as soap and shampoo are NOT provided. One person or two persons per room. Men’s, women’s and gender-neutral bathrooms are located down the hall from the sleeping rooms. Each occupant has an extra-long twin bed, desk, wardrobe and chair. $30 per person per night for one-person dorm room. $21 per person per night for two-person dorm room. 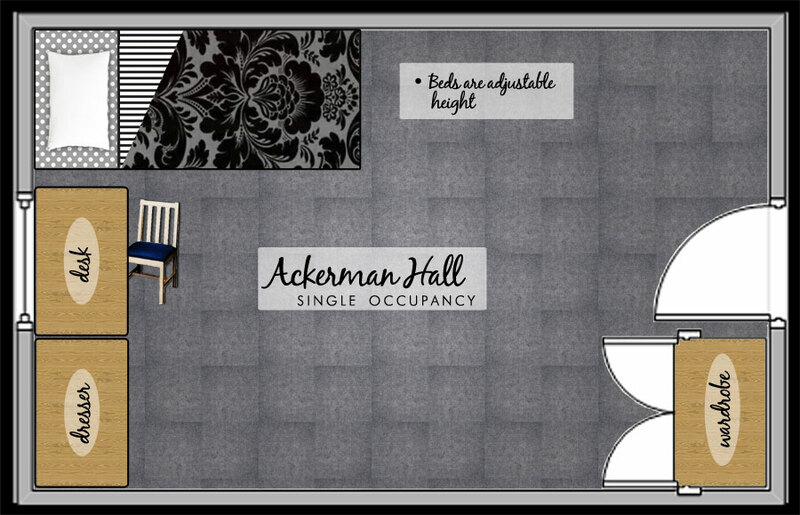 ​For further information about Ackerman Hall Housing. Single bedroom in a 4 bedroom/2 bathroom apartment. Each bedroom has an extra-long twin bed, dresser, desk, chair, and closet. Apartment includes living area and kitchen. Kitchens are NOT stocked with cookware, dishes, cups or utensils. $45 per person per night. For further information about Arbor Park Housing.